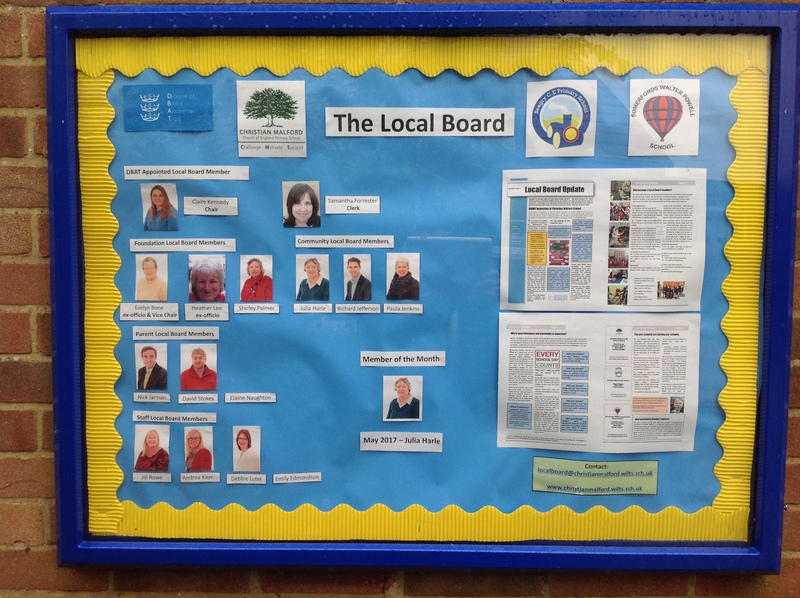 We have a fabulous new display outside the reception area with information about our Local Board. Next time you are in school please do come and have a look. If you would like to know more information about the Local Board there is lots of information on our website. There are links to copies of the Local Board Updates which give you information on how the Local Board fulfil their role at Christian Malford CofE Primary School. If you would like to contact the Local Board please email localboard@christianmalford.wilts.sch.uk. ← A real team effort!